For all you crazy streamers and dedicated Twitch fans out there, Twitch has made a very interesting announcement today. 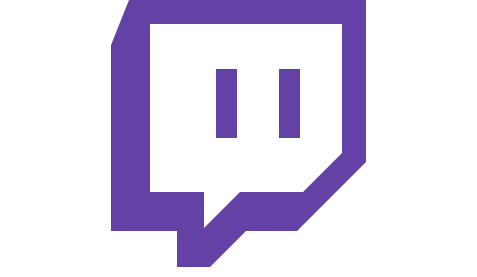 On September 25th and 26th, Twitch will be hosting its first ever TwitchCon in the Moscone center in San Francisco. So if you’re secretly in love with Twitch, you might want to mark this down on your calendar. If you just so happen to live under a rock, or not use the internet much, you might not know what Twitch is. Twitch is pretty much the go-to service to use if you’re interested in streaming your gameplay for everyone who has access to the internet to see. Streaming gameplay has a lot of benefits that just watching gameplay recorded on YouTube might not have. It’s also fun for those who might just like watching other people play, or want to interact with someone well known playing a game. If you love watching your favorite broadcaster on Twitch, then you’re going to love TwitchCon. You’ll be able to meet your favorite broadcasters (if they’re participating in TwitchCon) and participate in live events with everyone there! That sounds pretty awesome if you ask me. On top of just interacting with everyone there, Twitch has started an official Twitter account for handing TwitchCon related things, @twitchconsf. They’re also asking that if you have an awesome idea, tweet it to them. Twitch broadcasters have the most passionate fans, so we want to create an amazing experience where they can come together in person, TwitchCon will be an opportunity for the entire community — broadcasters, game developers, viewers, and us — to play and learn together. I think this event is going to be pretty cool. I can imagine that people who are big on interacting with Twitch streams are going to want to attend if they can. Can't wait to see what events they're going to end up having at the convention later this year! If you want to receive constant updates about TwitchCon make sure to check out the Official Website and Official Twitter Account. Let us know what you think below, and also let us know if you're going to be attending!